This family includes 17 genera and 158 species [Updated 10.01.19]. The family has representatives in South America, Africa (southern part) and Australia, where they are found in temperate and subtropical habitats. Previous recording of a species from this family in India has been deemed incorrect, probaly caused by mislabeling of the specimen. Members of this family are found in small burrows, under stones, in cracks and crevices, and in self-made burrows up to 40 cm deep. Members of this family are unique in that the normally pentagonal sternum consists of two transverse bars (except Lisposoma and Tehuankea), and is several times broader than long. The genera Liposoma and Brandbergia are distributed in Southern Africa. The family Bothriuridae was revised by Andres Ojanguren Affilastro in Kovarik & Ojanguren Affilastro (2013). A review paper summing up all taxonomic changes in Bothriuridae between 1999 and 2006 is freely available here. See Bothriruidae updates for information about the ever changning status of the genus Brandbergia. The genus Orobothriurus was revised in 2011 by Ochoa, Ojanguren Affilastro, Mattoni & Prendini. There are no medical publications available that indicate that this family has species of medical importance, but Mahsberg, et al. 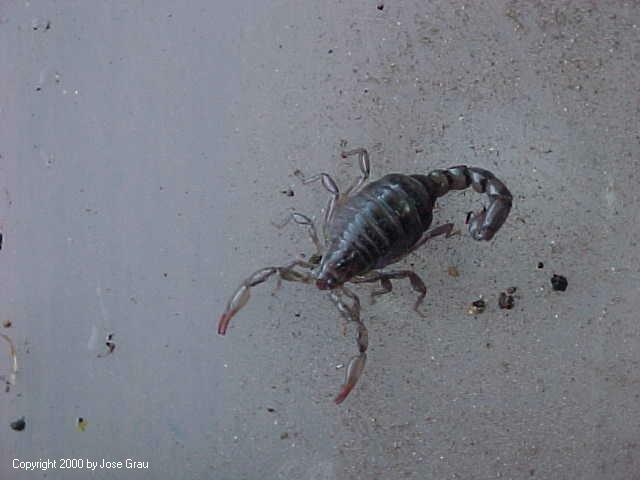 (1999) say that the sting from the genus Bothriurus is painful and may cause cardiovascular symptoms. Members of this family are rarely reported in captivity. Photo of Brachistosternus sp. (?) (left) by Jose Horacio Grau Jipoulou. 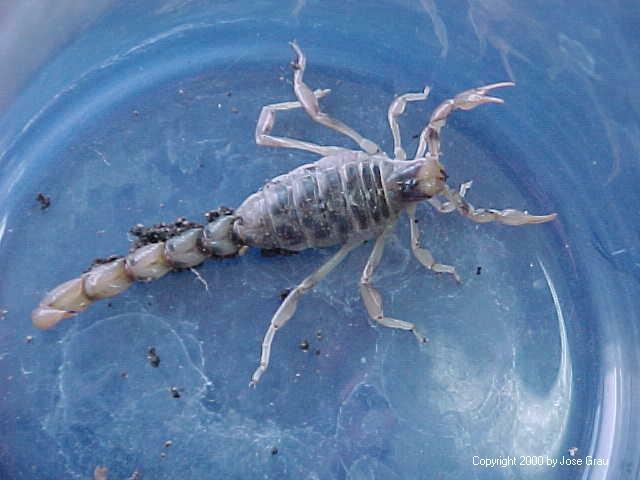 Photo of Bothriurus sp. (?) (right) by Jose Horacio Grau Jipoulou.